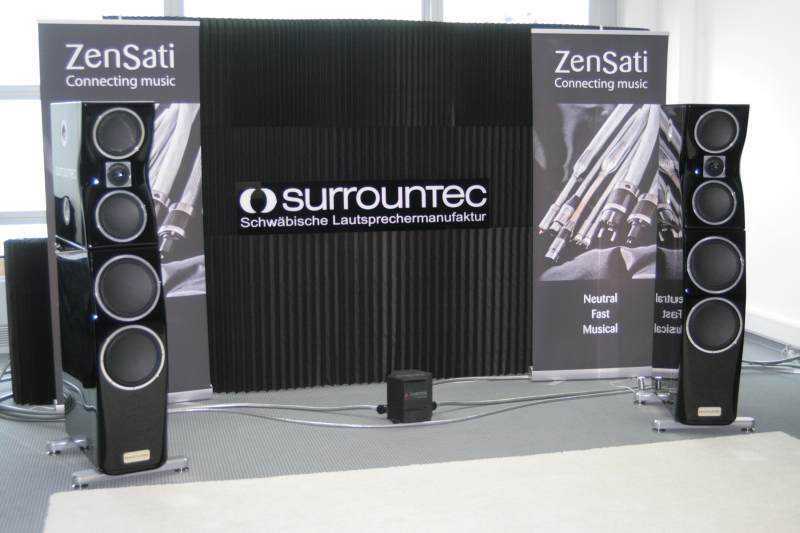 Suon'Arte from Italy had a complete Audio Tekne Japan setup, from catridge to loudspeakers. 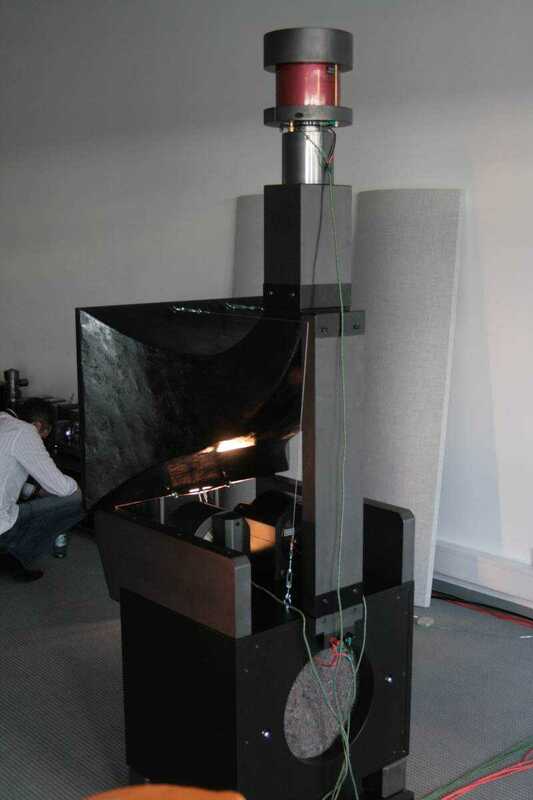 While the sound was not neutral or realistic at all, it was a lot of fun to listen to, similiar to the WE16B speakers of Silbatone. 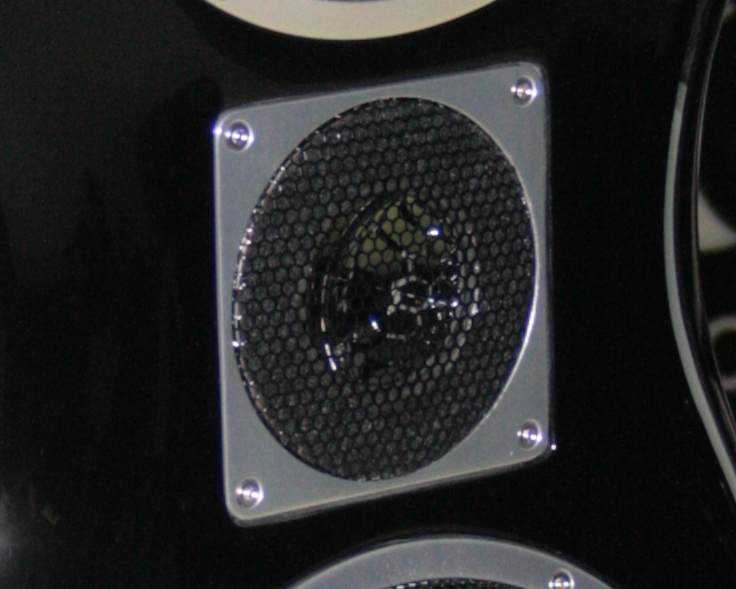 Their big speakers cost around 200000 EUR/pr, and sport drivers from ALE with Alnico magnets. The bass works dipole style, having a big hole in the back wall. 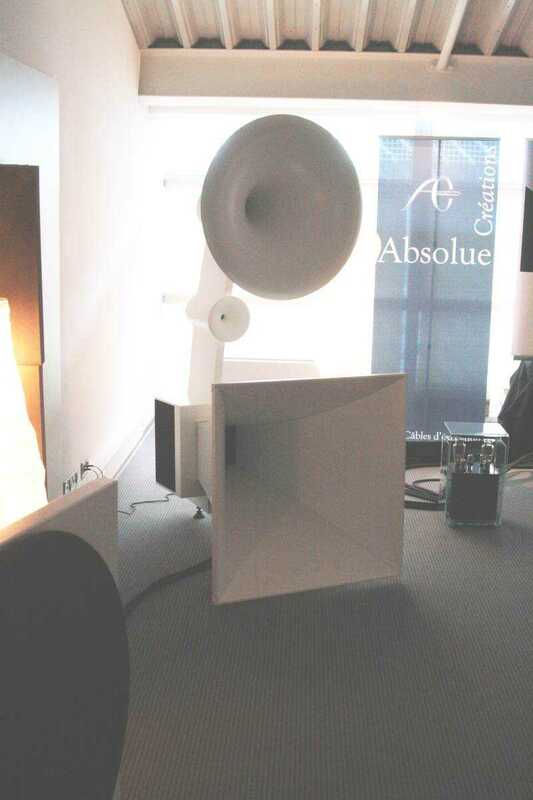 Musique Concrete, a French company owned by Marc Henry, showed their real horn speaker. The horn constructions lead back to the scientific research of Jean-Michel Le C'Leach, who calculated the horn formulas. 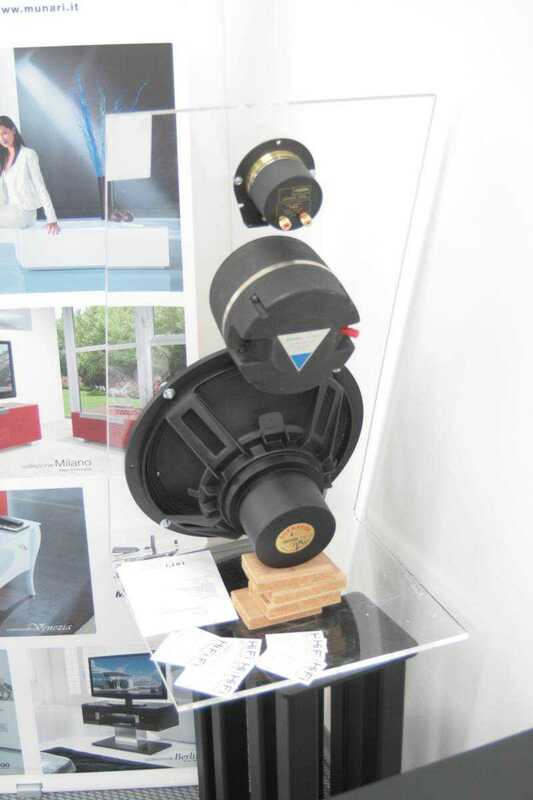 Surrountec from Germany showed their 250000 EUR master pieces. 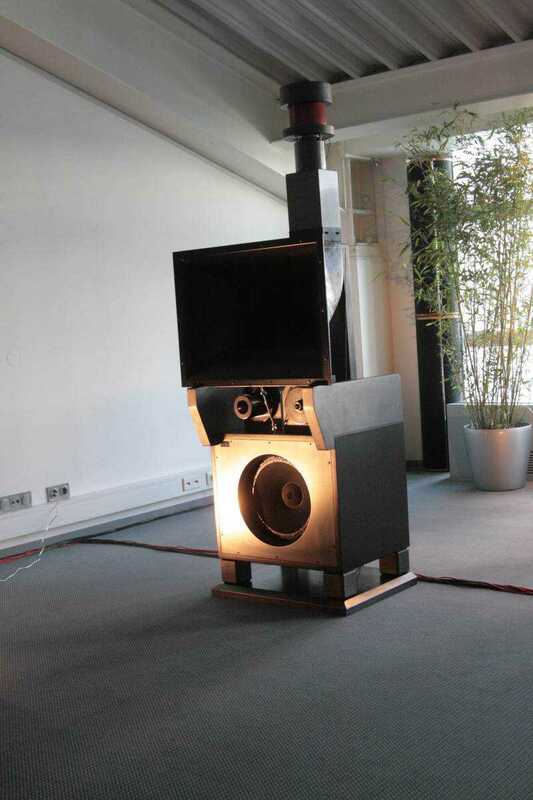 The speaker is built around a 50mm diamond fullrange unit, delivered from Thiel/Accuton. The sound was definitely among best of the show. 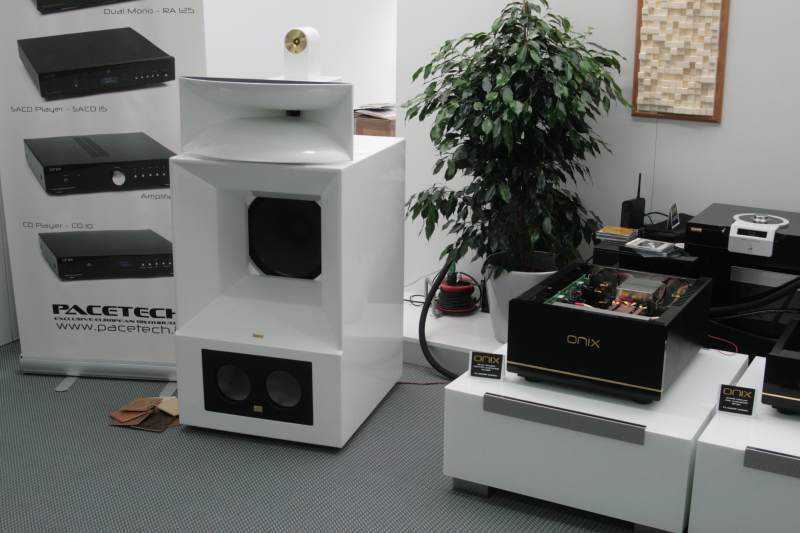 Hifi Di Prinzio from Italy showed their own interpretion of the famous "Voice of the Theatre". The "Mi.Ni." uses Fostex tweeters, TAD midranges and Supravox woofers. Price is near 30000 EUR.